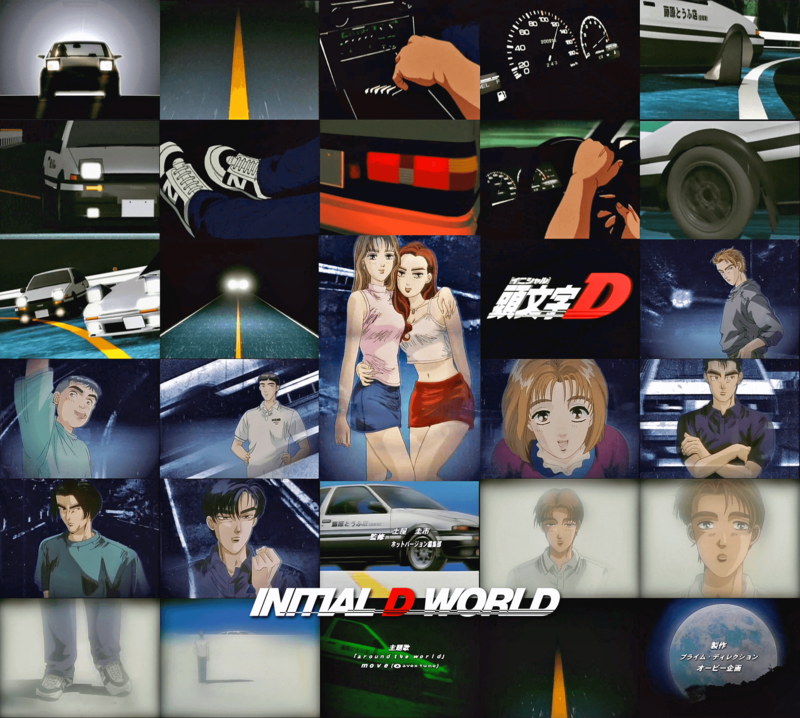 Do you still remember the first time when you were introduced to Initial D? For me it was the summer of 1999 when a cousin of mine introduced the series to me. At that time, First Stage was not completely released yet and we had to wait for each episode to release on VCD and rent it in order to watch it. I still vividly remember the very first moment when the opening theme started playing. I was instantly hooked on this strange yet exciting way for the car to turn in such a way around the corner. And the rest was history as they say. Initial D defined my youth and reshaped the way I look at cars and street racing. It is a life style and a positive attitude towards life and achieving your goal. This is a repost from 2012, but we re-did the image with higher quality screenshots. Enjoy! Image size reduced, original size: 2048 x 1838. Click here to view the image in its original dimension.